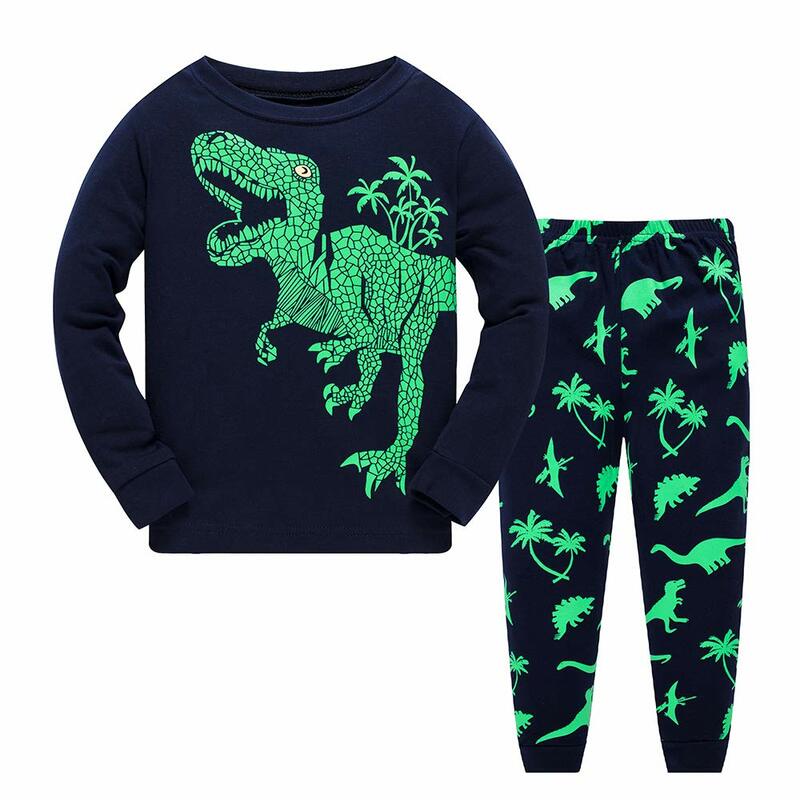 ★ The Pajamas for toddler is made of 100% Cotton good material, Soft hand feeling and good air permeability. 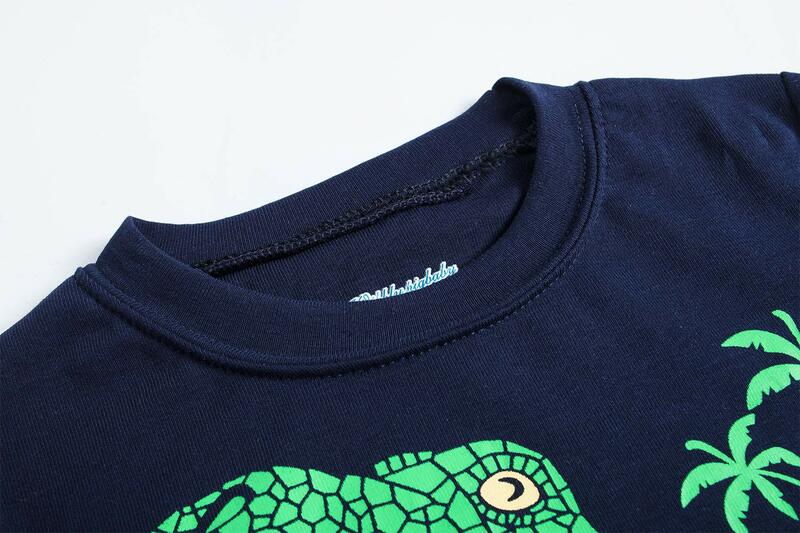 ★ This little boys pajamas is good for your kids’ skin, ensure the comfort and safety when wearing snugly. 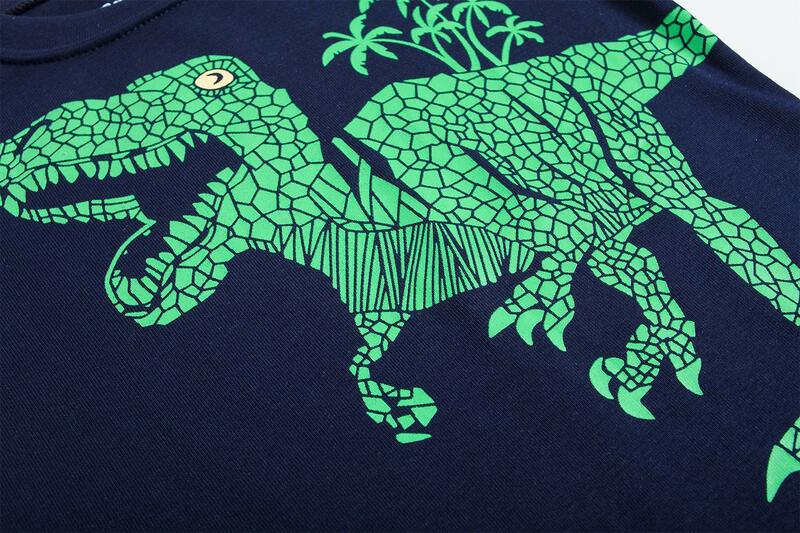 ★ Cool Dinosaur Front Design will make your boys look more fashion and cute, every child will love it. Garment Care: Machine wash cold (hand wash really helpful). Color: As different computers display colors otherwise,the color of the particular item may vary rather from the above images,thanks for your understanding. Delivery: BABSUE products ONLY delivered by BABSUE or FBA. And we have our own trade mark. If you are going to buy BABSUE products from other delivery channel, BABSUE disclaim any responsibility for your purchasing. Thanks! 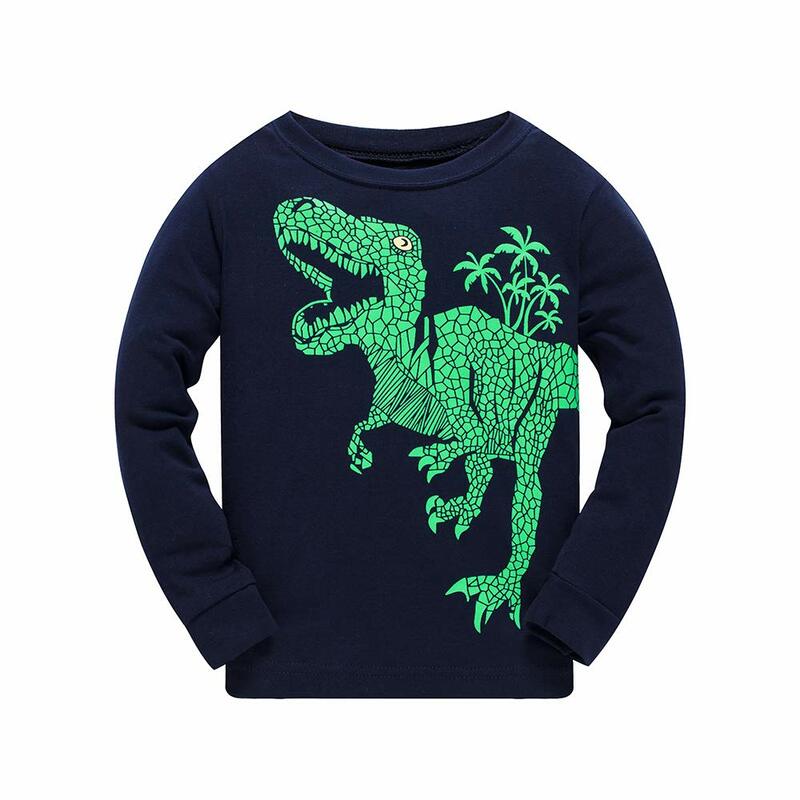 ★ Cool Dinosaur Front Design will make your boys look more fashion and cute, each and every child will find it irresistible. ★ Pratical Design : Easy on /off boy crewneck shirt and pants with elasticized waistband which non-slip and painless. ★ Occasions: Sleepwear, Casual wear, Sportwear, Home or Outside in spring, autumn and winter. Ideal gifts for boys’ birthday, Halloween, Christmas.